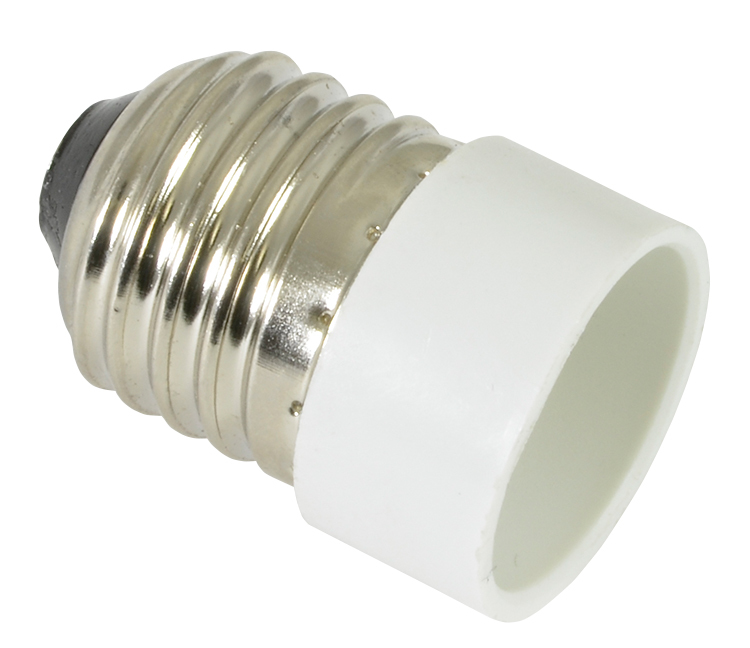 A lamp socket to convert a Bayonet cap fitting to an Edison screw fitting. Using this fitting will add 23mm to the total length. A lamp socket to convert a Bayonet cap fitting to a GU10 fitting. 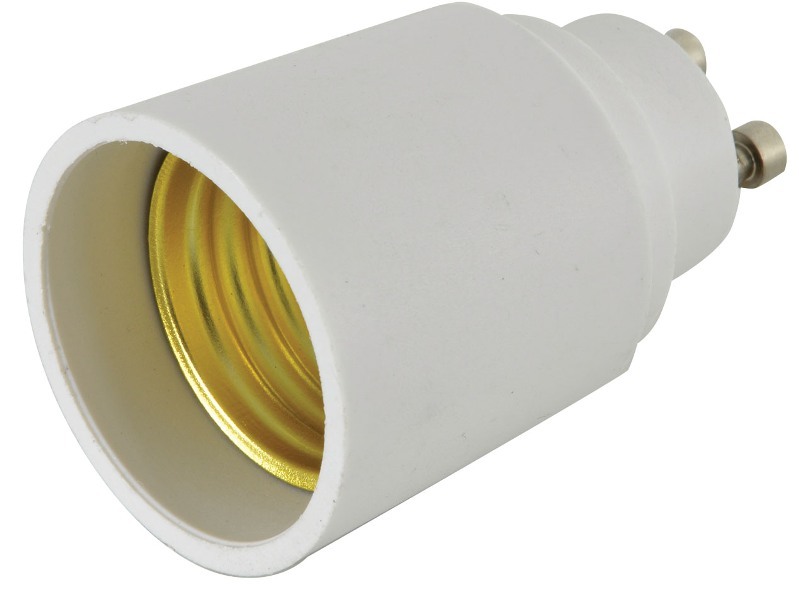 Using this fitting will add 39mm to the total length. A lamp socket to convert an Edison screw fitting to a Bayonet cap fitting. Using this fitting will add 33mm to the total length. 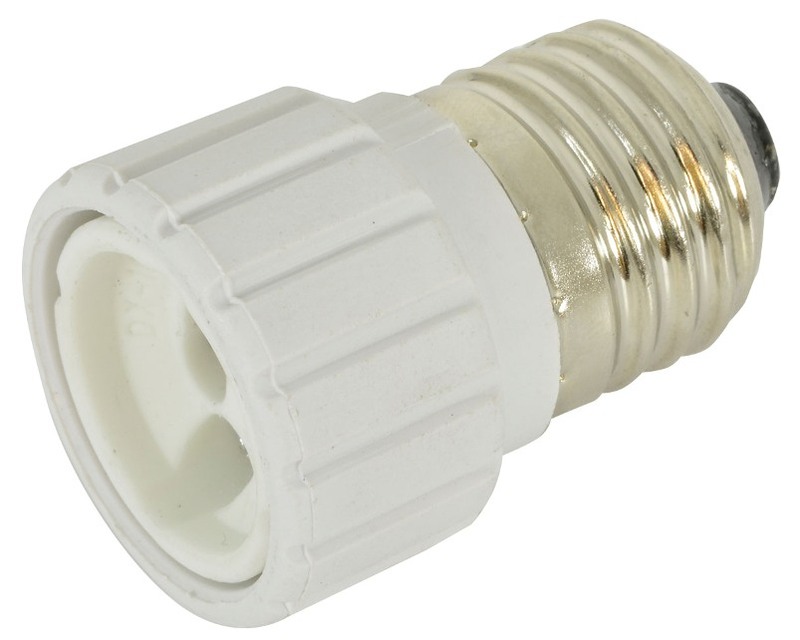 A lamp socket to convert a Edison screw E27 fitting to an Edison screw E14 fitting. A lamp socket to convert an Edison screw fitting to a GU10 fitting. Using this fitting will add 46mm to the total length. 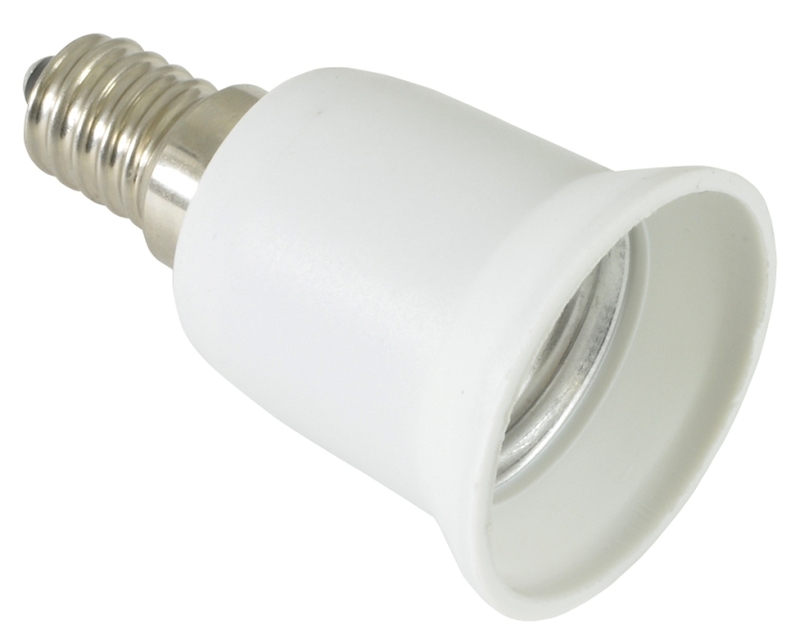 A lamp socket to convert a GU10 fitting to an Edison screw fitting. 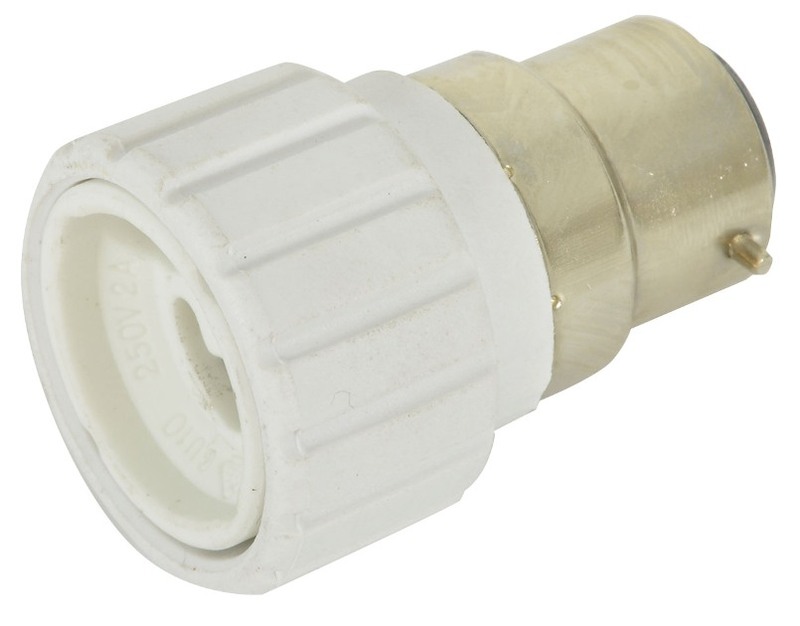 Using this fitting will add 29mm to the total length. 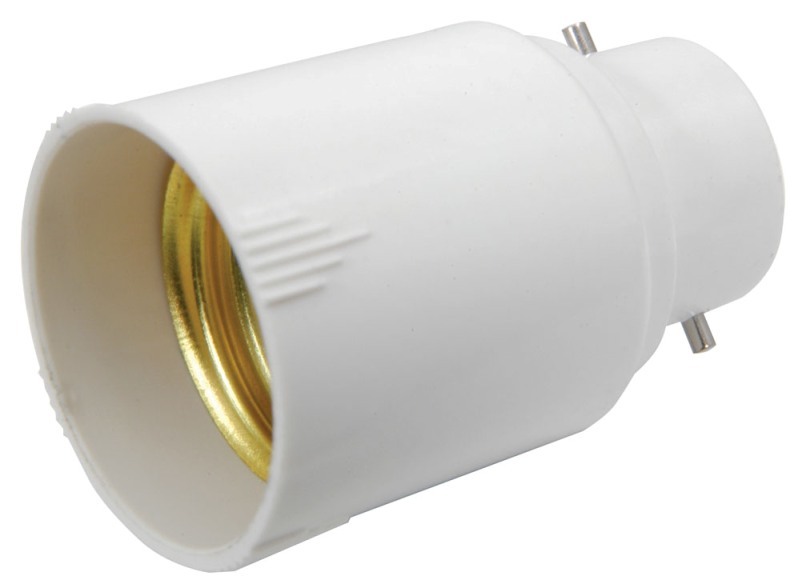 Convert a GX16d ceramic lamp holder for use with GY9.5 Theatre Lamps. Used with Raylight reflectors in PAR Cans.